Hello there and welcome back! 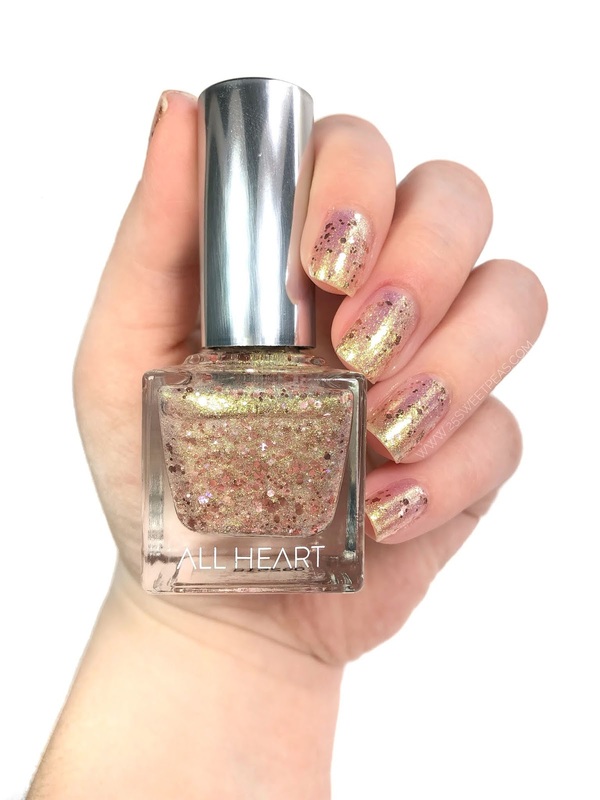 Today I have the first look at the February All Heart polish! 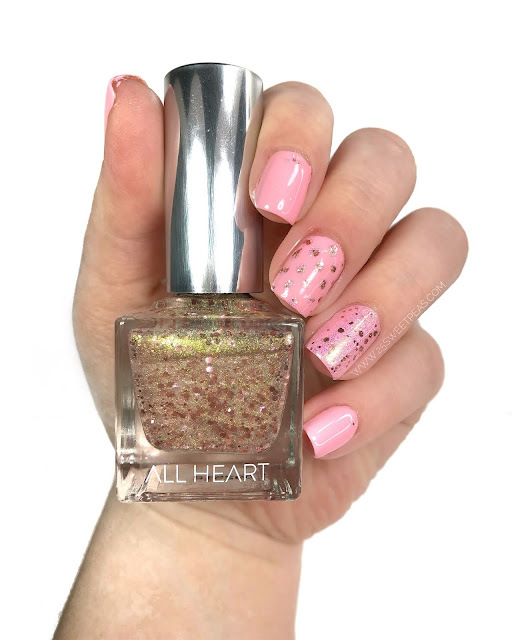 This month All Heart teamed up with Leaping Bunny Again this month to create a new polish called Love Some Bunny! So lets check it out! This polish is such a neat polish. It has a major golden sheen with a hint of a pink sheen as well but mainly the pink comes from the micro glitters. Here it is worn in 3 coats to build it up completely. At that point you can still kind of seen through it. That being said it does build very nice and evenly. However I think I like it better as a topper. Which is how I will show it below! 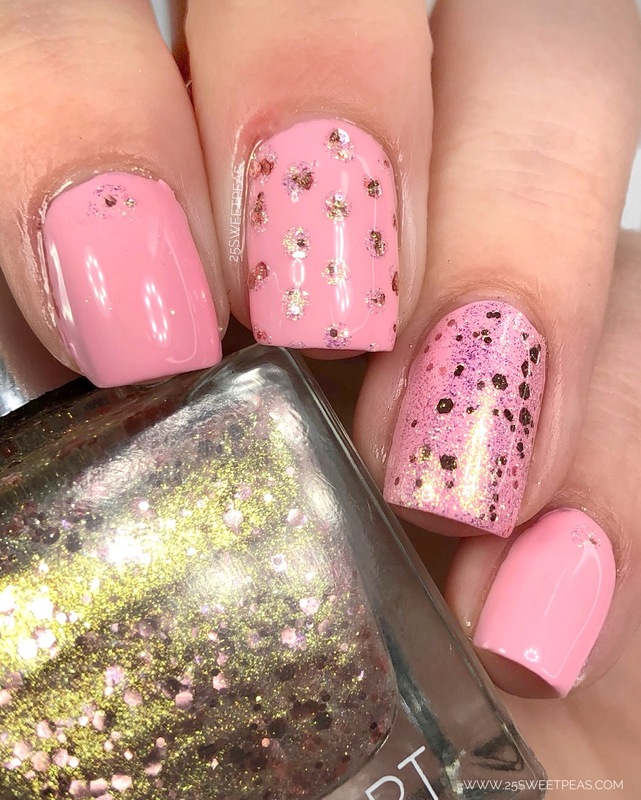 Here the pink base is All Heart's Beauty Without Bunnies and then I used Love Some Bunny on top as my accent finger, and then I used it to create some dots! I think it works really well as a topper and I think its my preferred way to wear this. 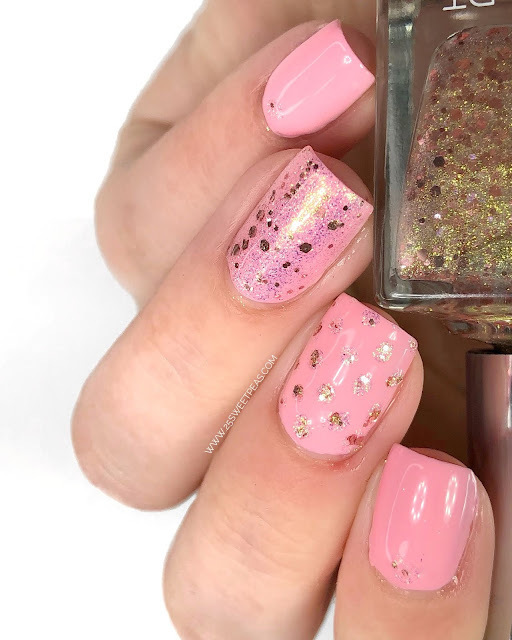 It would be so fun on all sorts of shades too! Ok guys that is a wrap! Love Some Bunny is the new polish for the month of February in collaboration with Leaping Bunny and $1 from each purchase. 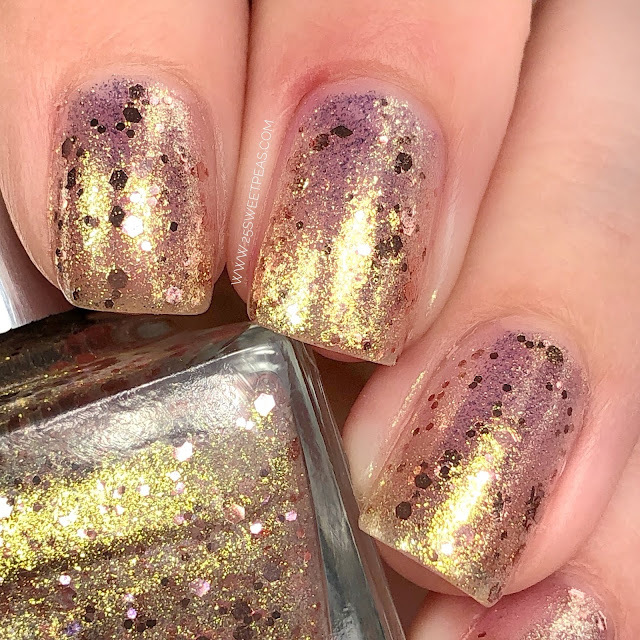 You can check out more about the polish here on February 1st when it releases. 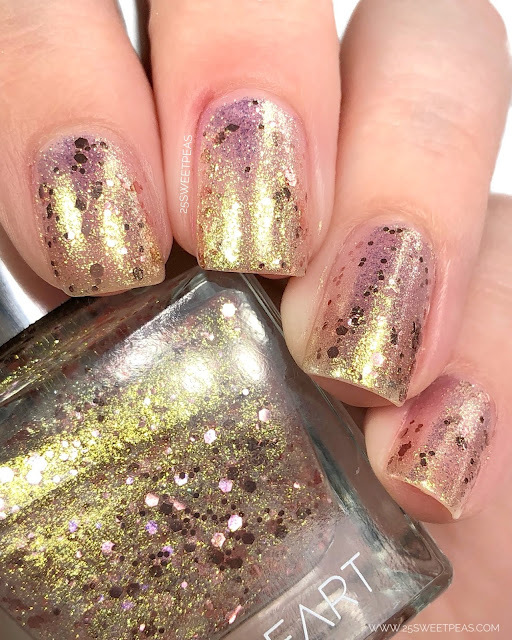 :) You can check out my swatch video here.